Napoleon’s impression of Lowe did not improve. It got worse. After a total of six interviews between April and August 1816 (their conversations were conducted in Italian), Napoleon refused to meet with Lowe again. The next time Lowe got a good look at Napoleon was when he saw the Emperor’s corpse on May 6, 1821, the day after Napoleon died. The details of the relationship are well documented by Peter Friedman on the Fondation Napoléon’s website. For a fuller treatment, I recommend Napoleon’s Jailer – Lt. Gen. Sir Hudson Lowe: a Life by Desmond Gregory (1996), or Sir Hudson Lowe and Napoleon by Robert Cooper Seaton (1898). When Napoleon died, Lowe was magnanimous. Napoleon’s adherents showed no such generosity towards Lowe. In July 1822 Dr. Barry O’Meara published Napoleon in Exile; or A Voice From St. Helena. O’Meara had been Napoleon’s doctor on St. Helena until July 1818, when he was expelled by Lowe for trying to undermine the governor behind his back. The book showed Lowe in a very bad light, adding to the undercurrent of feeling against him. Lowe wanted to sue for libel, but his lawyers took so long to compile the evidence that the judge declared the time for bringing the case to court had expired. Having spent most of his military life outside England, Lowe lacked a local crowd of friends and supporters. He appealed to the British government to defend him, but received a cool response. The government was content to make Lowe the scapegoat for any criticism of British treatment of Napoleon. The Duke of Wellington thought Lowe’s treatment shameful. In November 1822, he wrote to Lord Bathurst, Secretary for War and the Colonies, in respect of an unprovoked assault with a whip on Lowe by one of Napoleon’s erstwhile companions, the son of Count Emmanuel de Las Cases. Wellington later rose to Lowe’s defence in the House of Lords when, in 1833, another Lord made a disparaging remark about Lowe. 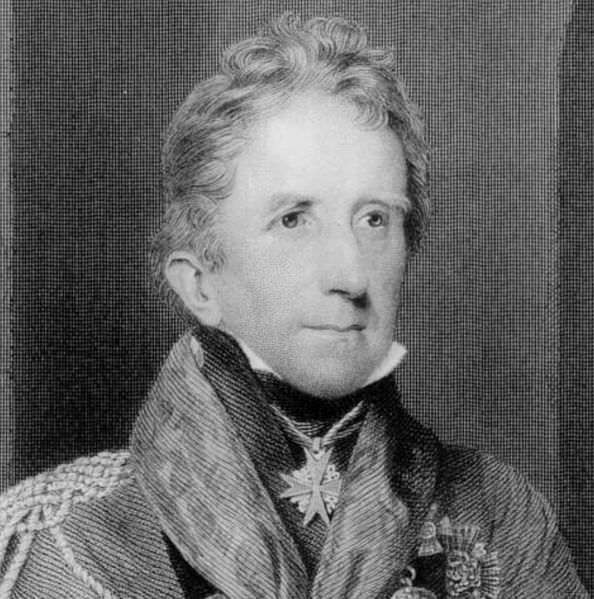 In 1825 Hudson Lowe became commander of British forces in Ceylon. After returning to England in 1831, he petitioned the government for an office in recognition of his services. But O’Meara’s and others’ uncontradicted lies had done their work, and Lowe was not given a high post. Neither was he given a pension. In 1842 the King of Prussia advanced Lowe to the First Class of the Red Eagle of Prussia, recalling his “signal services to the common cause in the glorious campaigns of 1813-14.” (8) The next year Lowe was belatedly given the Grand Cross of St. Michael and St. George. Emmanuel-Auguste-Dieudonné Las Cases, Memorial de Sainte Hélène (London, 1823), Vol. 4, p. 48. Ibid., Vol. 1, p. 35. Napoleon’s first valet, Louis-Joseph Marchand, whose memoirs are considered to be more accurate than those of Las Cases, reports Napoleon saying after that first meeting: “This man has a repulsive appearance and does not have an honest gaze. We must not rush to judge him, but I need to have his behavior reassure me about his physical appearance. His looks remind me of a Sicilian thug.” Proctor Jones, ed., In Napoleon’s Shadow: Being the First English Language Edition of the Complete Memoirs of Louis-Joseph Marchand, Valet and Friend of the Emperor, 1811-1821 (San Francisco, 1998), p. 403. Major Basil Jackson, “A Slight Tribute to the Memory of Sir Hudson Lowe,” Colburn’s United Service Magazine, March 1844, p. 420. Herbert Maxwell, ed., The Creevey Papers: A Selection from the Correspondence & Diaries of the Late Thomas Creevey, M.P. (New York, 1904), Vol. 1, pp. 288-289. Walter Henry, Events of a Military Life: Being Recollections After Service in the Peninsular War, Invasion of France, the East Indies, St. Helena, Canada, and Elsewhere (London, 1843), Vol. 2, p. 80. Arthur Richard Wellesley, Despatches, Correspondence and Memoranda of Field Marshal Arthur Duke of Wellington (London, 1867), Vol. 1, pp. 517-518. Robert Cooper Seaton, Sir Hudson Lowe and Napoleon (London, 1898), pp 220-221. Peter Friedman, “Emmanuel Augustin Dieudonné: The Real Victor of St. Helena,” First Empire Review, Issue 111, March/April 2010, pp. 35-43; http://www.napoleon.org/en/reading_room/articles/files/476651.asp, accessed October 14, 2013. Seaton, Sir Hudson Lowe and Napoleon, p. 229. Poor Sir Hudson Lowe, I can’t help feeling a bit sorry for him, caught up in ‘La Politique de Longwood’. The Lowe Papers in the British Library state that after his last disastrous meeting with Napoleon on 18th August 1816 Sir Hudson told Major Gorrequer ‘to treat with General Bonaparte one must be either a blind admirer of his faculties or a yielding instrument to work with, a mere slave in thought to him’. At least he had a friend in Wellington! On a positive note, I understand Sir Hudson was instrumental in abolishing slavery on St. Helena. Love your blog and really looking forward to the book. Hudson Lowe was the British Commander at the fall of Capri, having to evacuate it October 1808. Lowe had been involved in Italian campaigns with Italian and Corsican troops. Thanks, Bob. That probably explains why he was fluent in Italian. Lowe received the typical ‘English’ treatment, which doesn’t value loyalty but rather practicality. Winston Churchill sum it up nicely: ‘We have no lasting friends, no lasting enemies, only lasting interests’. Remind me of captain Kidd who was wrongly accused of piracy. When questioned by parliament, he ‘refused to name names’ and ‘naively confident his Whig MP would reward his loyalty by interceding on his behalf. ‘ Eventually executed with his body gibbeted over River Thames for three years. Compare Lowe to Neil Campbell who let Napoleon slip away from Elba, was ‘promoted to Major General in 1825 and served as governor of Sierra Leone in 1826’. Simply because he was friend of Lord Castlereagh. Poor guy, I guess Lowe hasn’t really figured out what’s being British after all. Lowe really was treated shamefully, particularly compared to Campbell. I didn’t know that about Captain Kidd. Thanks for sharing. Blackard is a bad guy. There is no blackguard. The British and Irish love team players. So always support your team. Thanks for the comment, John. Blackguard (pronounced blaggard) is an old-fashioned term for a scoundrel. There probably was some “team support” involved in Wellington’s defence of Lowe. I am attracted to this site at the moment as I have a good friend who is from St. Helena. It’s quite unusual to see a reference to it and it catches my eye. Thanks, Fay. I’m glad the St. Helena posts are of interest. I’ve found it fascinating to do the research about Napoleon’s time on the island. Thanks, Andrew. 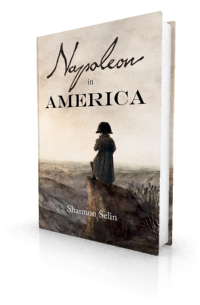 There are some anecdotes from Betsy Balcombe in my posts about Napoleon’s Arrival at St. Helena, Napoleon’s Grooms on St. Helena, Napoleon’s First New Year’s Day on St. Helena, and 10 Interesting Facts about Napoleon. It probably would’ve served British interests far better if they had never sent Napoleon to St. Helena in the first place. But after experiencing his escape from Elba, they most likely felt that they had no other choice but to send him to the most obscure island they could think of. As for Sir Hudson Lowe, he was handed a thankless job that no one else wanted. Lastly, Wellington was never considered for the job of Napoleon’s jailer. He was also against sending him to St. Helena. That didn’t matter to Napoleon who forever blamed the Duke for his miserable existence on the island. “General” Bonaparte died a very unhappy man. How true. Thanks for your comments, Charles. The man’s disposition may perhaps make amends for the unfavourable impression which his face produces.